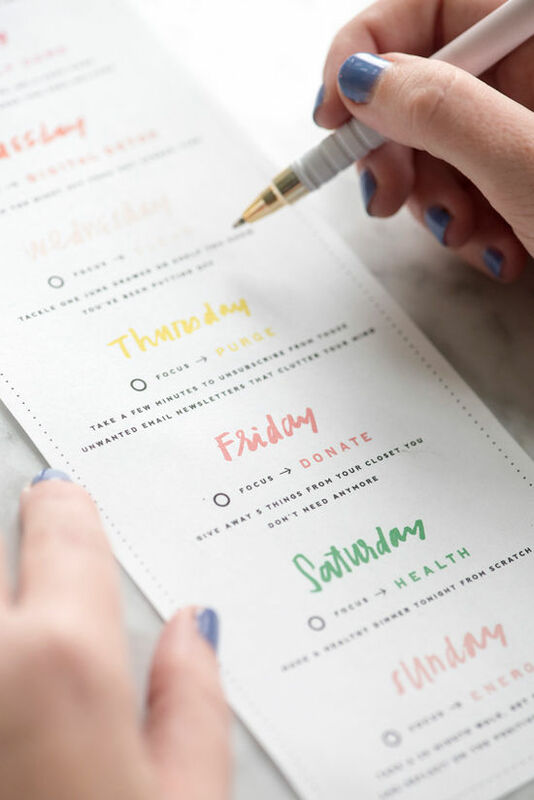 D E S I G N L O V E F E S T » POSITIVE TASKS PRINTABLE! it’s spring cleaning season and i cannot tell you how much my home and life needs it! we partnered with Clorox to bring you an entire week of spring cleaning inspired projects, tips, hacks and a video and i’m really excited about them. i tested every single one out at my home or studio and they all greatly improved my life and sanity. the concept is to follow a Springvent calendar where every day you try and tackle a new project. everything from organizing, cleaning, DIY and life hacks. it’s much easier to take on one project a day rather then trying to tackle everything at once. you can see the whole calendar here and i’ll also be sharing projects on the blog and social media. 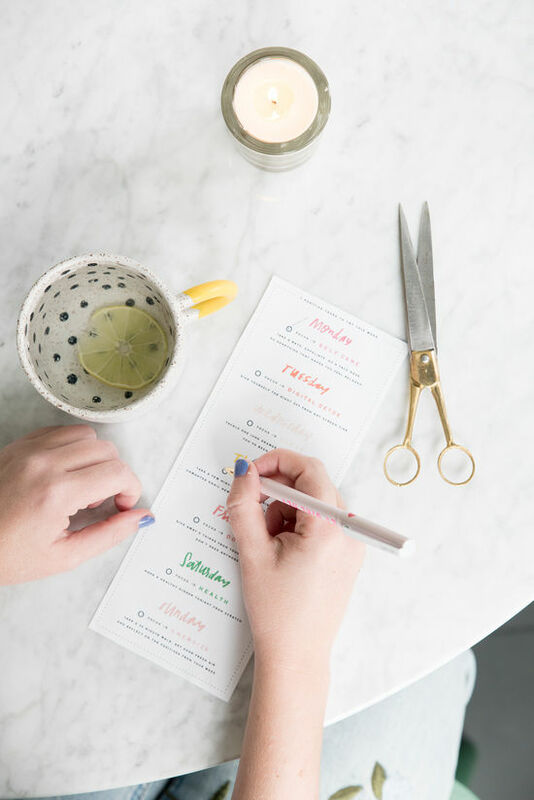 for today’s post we created a printable that has 7 positive task for you to try this week. they are all simple, short and designed to fit into your already busy life. print it out, hang it on your desk and try something new for a week! keep track of what made you feel more positive and try and incorporate it moving forward. these are all things my team and i try to do personally and know that when we do, our life feels just a little brighter. (this post was created in partnership with Clorox. thank you for supporting the companies that allow us to create original content for you). Love this idea. I’m a big schedule and to do list person, so this might actually get me on to having some more positive habits. Thank you! This timetable is awesome, maybe I should make a unit like this. Thanks for sharing! This is lovely! I know I could use a little spring cleaning for the home and mind. I absolutely love this, going to try all 7 this week! I love a good list! Thanks for this wonderful printable. I love this list — it’s a fantastic idea to schedule some positive moments for yourself each day. And it doesn’t hurt to have the reminders presented in such a fun and attractive way. Such a great idea for a post. We can all eat more vegetarian. Love the black bean and so good for you.